Responding to frequent corporate layoffs of highly skilled employees across the region, the Delaware SBDC and Pennsylvania SBDC work together to re-purpose and grow the enormous technology talent available in the region. 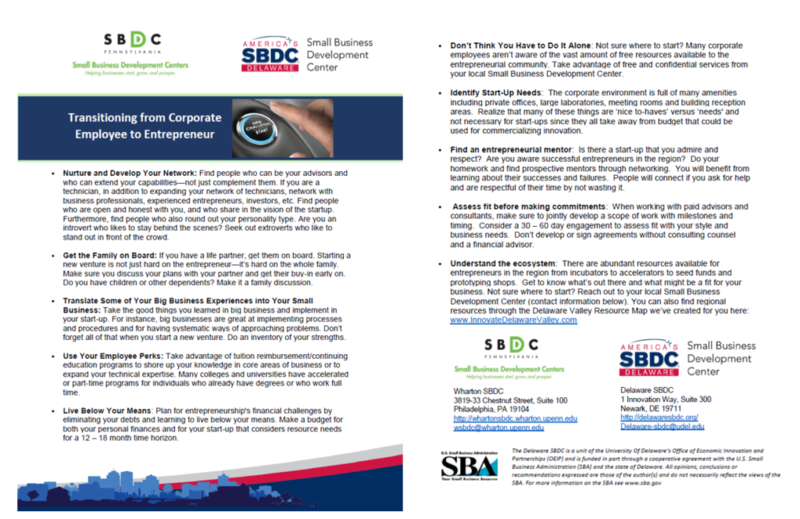 The two SBDCs leverage unique, complementing services and expertise into a powerful economic recovery program that spurs the growth of new and established small firms, based primarily on leveraging technology development and innovation. We’ve developed specific resources to help innovators, particularly those new to entrepreneurship, navigate the often confusing entrepreneurial ecosystem. 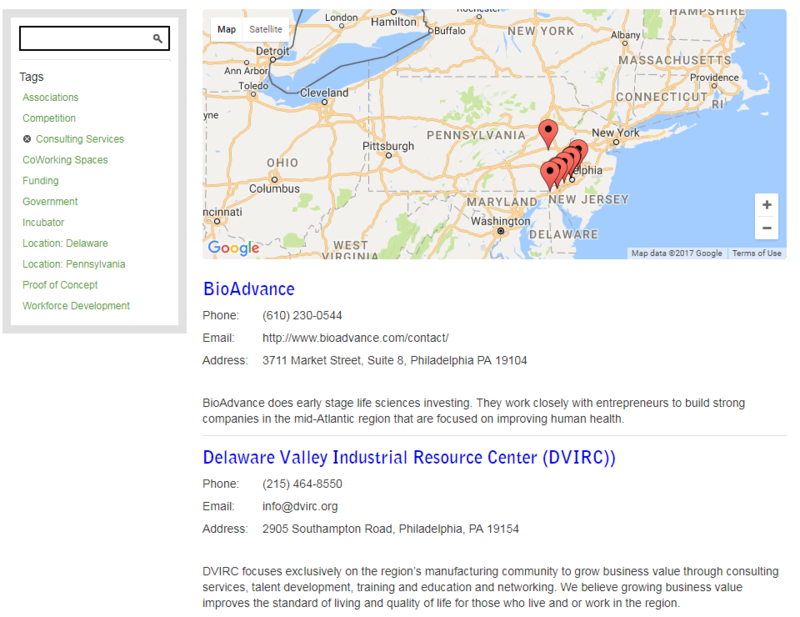 The Delaware Valley Innovation Resource Map enables entrepreneurs to view the region’s entrepreneurial ecosystem in both DE and South-Eastern PA.
What can you find on the Delaware Valley Innovation Corridor Resource Map? Is this your first time considering entrepreneurship? Here are ten tips to consider before taking the leap (click image to enlarge). Also available as PDF.